Korean drama ‘Goong’, adapted from a manga with the same title, was produced in 2006, it gained an immense popularity and was broadcast in Japan in the same year. Particularly, in July this year, it was re-broadcast on Japan Fuji TV and recorded rating that surpassed drama ‘IRIS’ that was broadcast at the same time, continued its deep-rooted popularity. Therefore despite it is being a Korean musical performance, the Japanese fans have no problem in understanding the story. The 1st act of ‘Goong’ is Imperial wedding scene, the solemn atmosphere continued until the 2nd act where dance battle scene began in a quick development, caught the eyes of audiences. In addition, the use of brilliant LED with sensory-kind of video is very helpful and useful to understand the play. 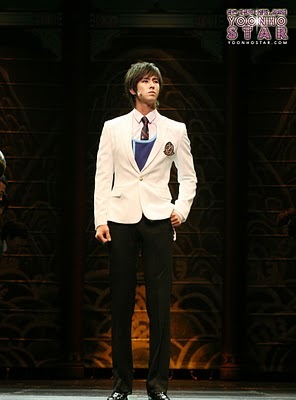 Yunho made his debut as a musical actor through his role in ‘Goong’ on September 8th at Theater Yong. This marks the beginning of a new phenomenon. The first scene of the musical established a serious atmosphere and this was followed by a dance in the scene which followed, leaving the whole of the audience intrigued, unable to tear their eyes away. Throughout the performance, the use of LEDs provided a feeling of elegance, allowing the crowd to gain a better understanding of the plot. Enthusiastic responses were received from not only Korean fans but also overseas audiences. 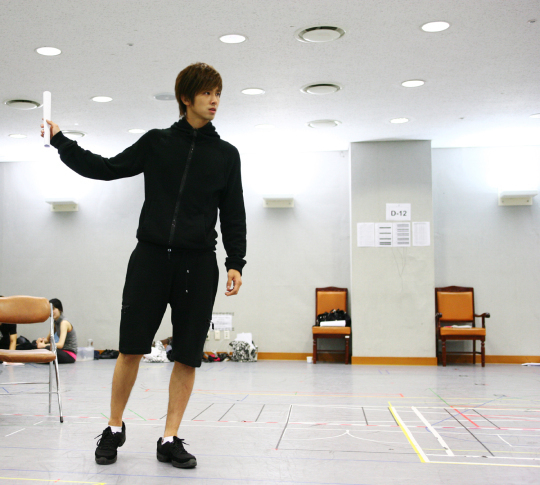 With idols such as U-Know Yunho as part of its cast, the musical ‘Goong’ has generated a great degree of interest from the media. 3.1 tons of ‘rice wreaths’ from fans were sent to the Yongsan Dragon Theater to celebrate TVXQ’s U-Know Yunho’s first performance in the musical ‘Goong’. Rice wreaths that help the needy have recently replaced normal wreaths in the entertainment industry. Especially, international projects for idol stars and hallyu stars are becoming regular sights. 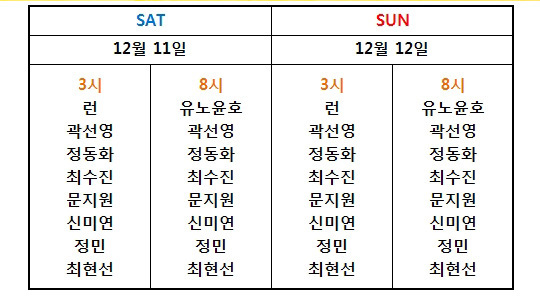 However, U-Know Yunho is the first to collect 3.1 tons at once. ‘Prince of Musicals’, Kim Dongho (24), will be taking the part of Korea’s Crown Prince Lee Shin in the musical ‘Goong’ with UKnow Yunho. The musical ‘Goong’ has set a new record at 800,000 tickets sold, and the original manga is Korea’s best selling manga. The outstanding quality of the drama has blown a new wave of popularity over the 23 countries where the show was broadcasted. This musical is truly a work that continues to follow success of the series. Kim Dongho first debuted in the 2005 musical ‘The Secret Garden’. Since then, he has followed up with musicals such as ‘Grease’, ‘Thrill me’, ‘Beautiful game’, ‘Dracula’. He has been the lead actor of a total of 10 productions and has proven himself to be a genuinely talented musical star in the process. Kim Dongho has been amassing a wide fan base with his great body and bright, boyish smile, reminiscent of an idol star. He is proving himself to be a new ticket selling power. The musical will be playing from September 8th to October 14th at the National Museum theatre. *TN: I’m not too sure about the name of the guy’s agency, the musical ‘Thrill me’ and the where the musical will be. Google isn’t being very helpful with names. *TN2: That well made drama is their line, they wrote the English in Korean and I just kept it. U-Know Yunho (24. 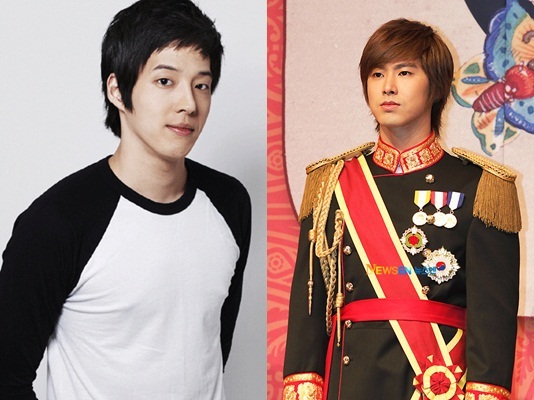 Jung Yunho) revealed his ideal woman before meeting his audience with his musical “Palace/Goong”. Channel MBN’s program “Entertainment Magazine V.I.P” held an Exclusive Interview with U-Know Yunho will be aired on the 30th of this month, during his interview U-Know Yunho revealed his ideal type of woman, “Some one who respects and listens to elders and some one with clear and beautiful eyes.” He also said, “Right now I don’t have a girlfriend”. This exclusive interview with U-Know Yunho will be on air on the 30th. MBN Entertainment News Program “Entertainment Magazine V.I.P”, hosted by Comedian Hwang Hyun Hee and Actor Lee Hae In airs every Friday afternoon at 12:30PM and will repeat on the 31st night at 12am and on 1st of August 2:30PM. U-Know Yunho (24. Jung Yunho) shared his thoughts about his ‘kiss scene’ in the muscial. U-Know Yunho will perform his first musical “Palace/Goong” as Lee Shin, the main male role on September at theatre “Yong” in National Museum of Korea. His character in this play is Prince Lee Shin who’s personality is quite rough and unfriendly but is forced to marry to an ordinary high school student Shin Chae Kyung who is a tomboy and falls in love with her gradually as they live in his “Palace”. During his interview with MBN’s Entrainment News Program “Entertainment Magazine V.I.P” he answered, “I’m nervous but the thoughts make my heart flutter too”, when asked how he feels about his kiss scene in the muscial. “I can’t practice because I don’t have anyone to practice with”, showing his wits. He continued, “When the time comes I will show”, arising our curiosity about their kiss scenes. When questioned, “What would you do if you were a real prince?”, he replied, “I would love to do volunteer services with people working for me”, showing his thoughtfulness. During his interview at Musical Goong Practice, we interviewed about U-Know Yunho’s ideal type of woman and other open questions.